2466 FIRST AVENUE TENTATIVE MAP – Process Three – Bankers Hill/Park West – Tentative Map for the consolidation and subdivision of six existing lots into one lot for twenty-one (21) residential condominiums and one commercial condominium located at 2466 First Avenue. The 0.17 acre site is located in the RM-3-7 and CC-3-4 base zones. 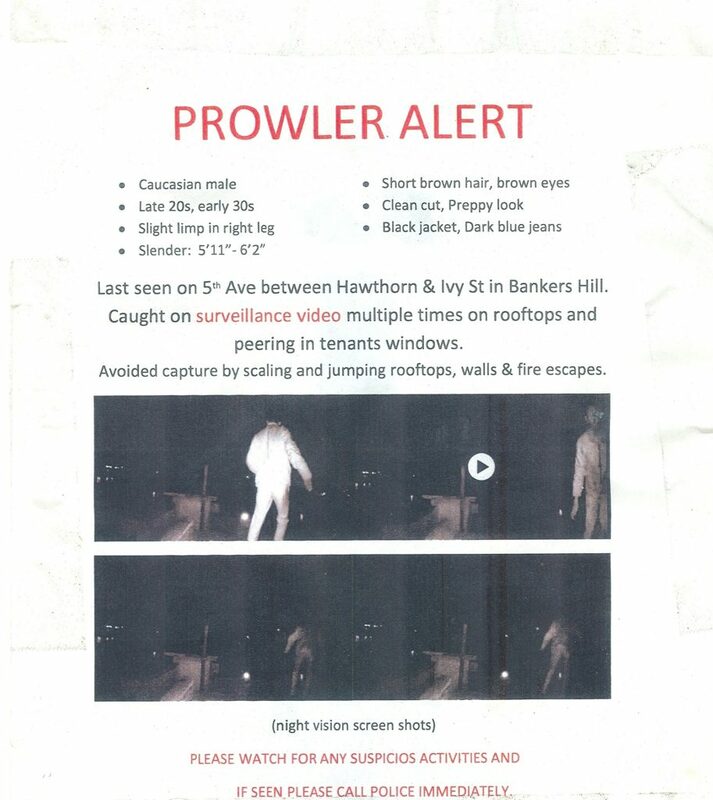 Below is a prowler alert regarding an an individual spotted around Fifth Avenue and Hawthorne Street. Please be on alert, as this type of an individual will often continue this type of activity unless caught. 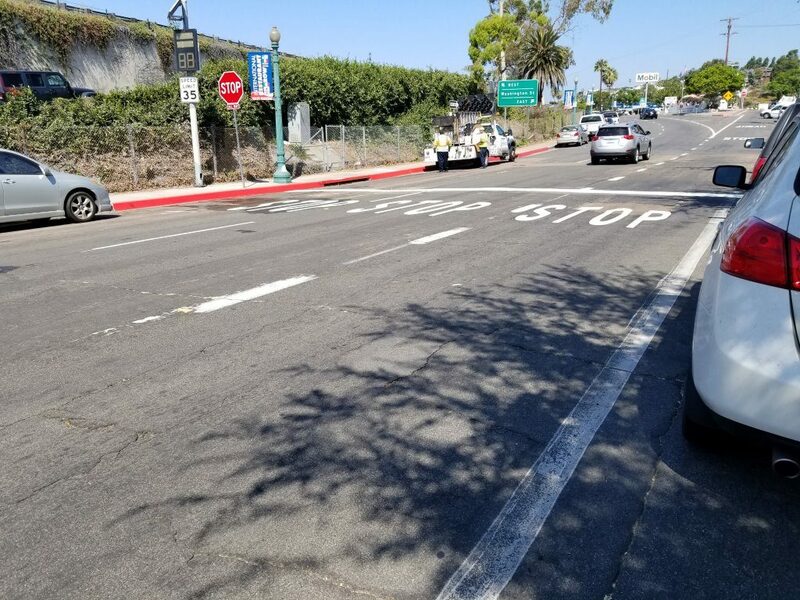 There also are reports of repeated trespassing and petty thief by transients throughout Bankers Hill; as well as abusive conduct towards Bankers Hill residents and businesses. Several days ago I had to break up a fight between two transients taking place in the middle of Sixth Avenue. Most these actions go unreported because calls to the police are subject to holds that can last 45 minutes to over an hour. Its an unsatisfactory situation, and needs to be effectively addressed. Although it is hot, it is important to lock your doors, and do no leave your windows open unless they are secured. One of the defining events in the history of Bankers Hill was the demolition of the Elks Lodge in 2001. Even though the Elks Lodge was a designated historic landmark — and one of the most impressive historical buildings in Bankers Hill — the destruction was still allowed to occur. The concern and outrage resulting from the loss of the landmark prompted the beginning of a new phase of Bankers Hill community activism. The building the Elks Lodge called home, located on the northwest corner of Fourth Avenue and Nutmeg Street, was built in 1904. 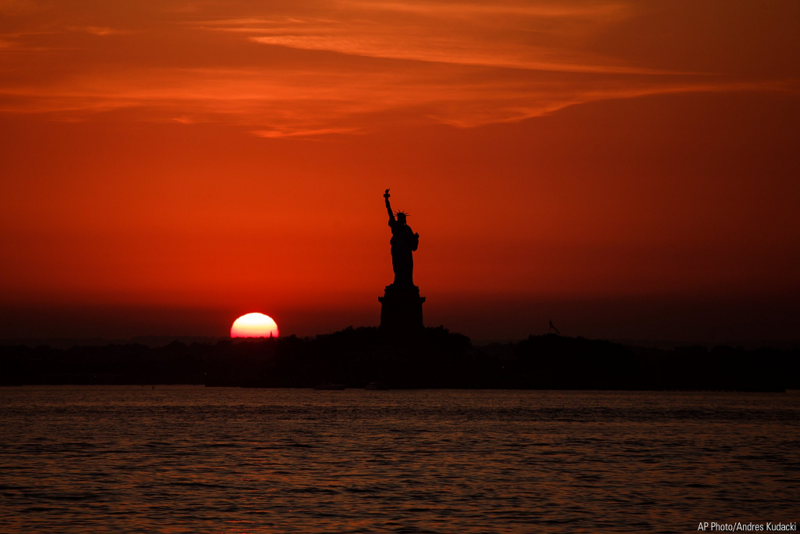 Designed by prominent architects William Sterling Hebbard and Irving Gill, it was considered one of their finest collaborative works. Along with the Marston House, it was one of the few all-brick buildings in San Diego at the time. 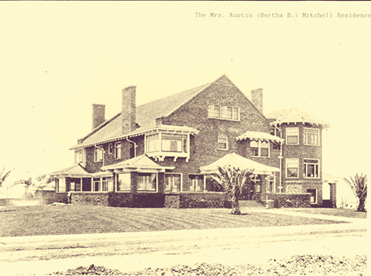 The building was often referred to as the Bertha B. Mitchell residence, after its first owner who resided in it until the mid-1920s. Following her departure, it subsequently was used as a medical clinic, restaurant, and for residential housing before it became the Elks Lodge in the 1950s. The Elks Lodge was often used for events and became a well-known dance hall. 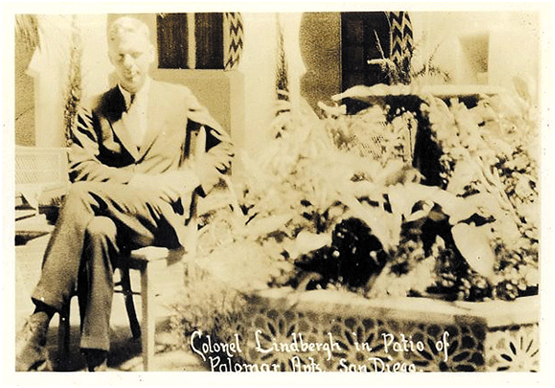 Many older Bankers Hill residents still remember attending events in its hall. After many years of active use, the building began to show its age, suffering significant wear and tear. The Elks Lodge was put up for sale, and eventually Mayfair Homes agreed to buy it and opened an escrow. Mayfair Homes proposed to tear down the Elks Lodge and replace it with condominiums. To prevent the Elks Lodge from being demolished, the Save Our Heritage Organisation (SOHO) requested that the city of San Diego’s Historic Review Board (HRB) determine whether the building was historic. 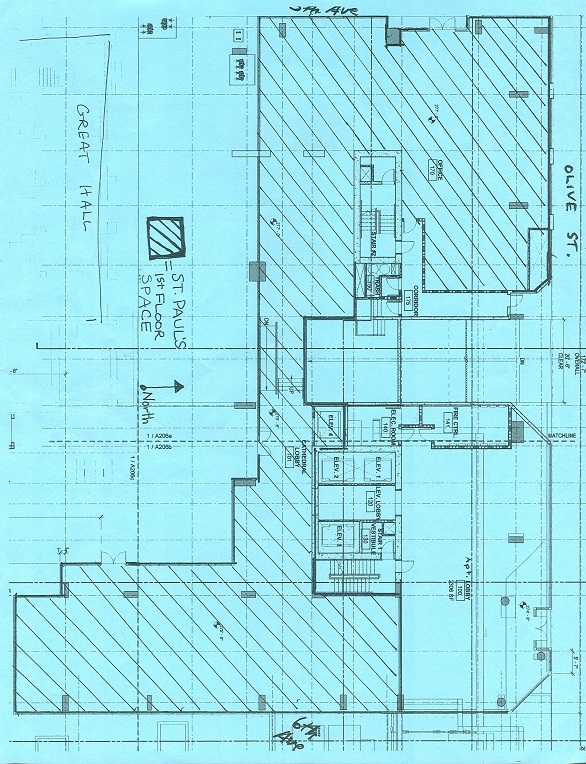 Even with some alterations to the building and opposition by city staff, the HRB designated the Elk Lodge’s building as a historic landmark in May 2000. Despite the Elks Lodge’s historical designation, Mayfair Homes proceeded to close its escrow in June 2000 and took ownership of the property. It then submitted an “economic feasibility study” to the city which claimed there was no economically feasible way that Mayfair Homes could develop the property without demolishing the now historically designated Elks Lodge. On October 26, 2000, the HRB — with several new members appointed by Mayor Susan Golding — accepted the economic feasibility report and supported the Elks Lodge demolition, despite historically designating it a few months earlier. The HRB recommended a historic plaque be placed at the Elks Lodge site memorializing the demolished building. All that remains of the Elks Lodge is a historic plaque. On November 7, 2000, Uptown Planners voted to reaffirm its previous position, passing a motion by an 11-0-1 vote opposing the demolition of the Elks Lodge and supporting its adaptive reuse. The San Diego Union Tribune also ran an editorial supporting the preservation of the Elks Lodge. The battle to save the Elks Lodge climaxed at a San Diego City Council meeting on January 9, 2001, where the final decision was made about the fate of the Elks Lodge. At the meeting, several well-known architects and developers came forward and stated it would be economically feasible to build a development project on the project site while still preserving Elks Lodge. continue the item, which would allow them and other developers to work with Mayfair Homes in an effort to come up with an acceptable project plan that would save the Elks Lodge. Mayfair Homes opposed the continuance, stating they had been working on the project for many years, and that it was too late in the process to modify the project design. This argument ignored the fact that Mayfair Homes had not yet closed escrow or obtained ownership of the property until a few months before the City Council meeting in mid-2000, after the HRB had historically designated the Elks Lodge. Despite the compelling testimony that an economically feasible project was possible without demolishing the Elks Lodge, the City Council refused to continue the item. Instead, the City Council voted 7-1 to support the Mayfair Homes project, including the demolition of the historic Elks Lodge. Sadly, the motion was made by then-City Councilmember Toni Atkins, who at the time represented Bankers Hill. 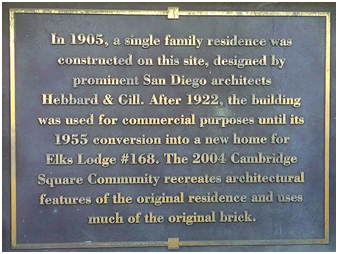 When the Elks Lodge was demolished in 2001, a major piece of Bankers Hill history was torn from the community, and we were left with only a historic plaque to remember it. The demolition of the Elks Lodge came as a shock to the Bankers Hill community; a suspicion developed that all the historic buildings in the community might now be in jeopardy. Our neighborhood felt as if we were being targeted. One of my good friends echoed the general unease when he exclaimed: “I wasn’t worried until they tore down the Elks Lodge.” It was the catalyst for many people in Bankers Hill becoming civically involved in their community. 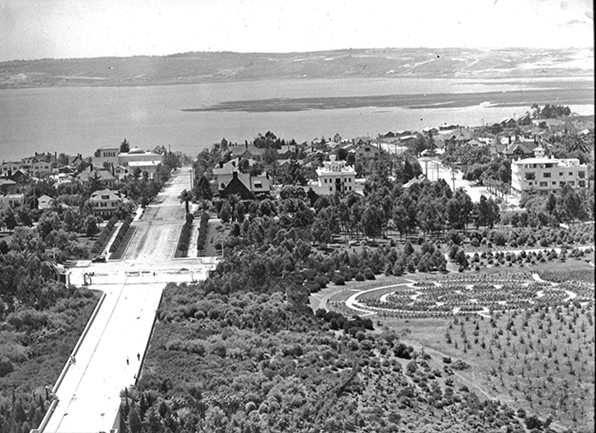 Many new community organizations were subsequently formed in Bankers Hill; community members also became more involved with Uptown Planners. 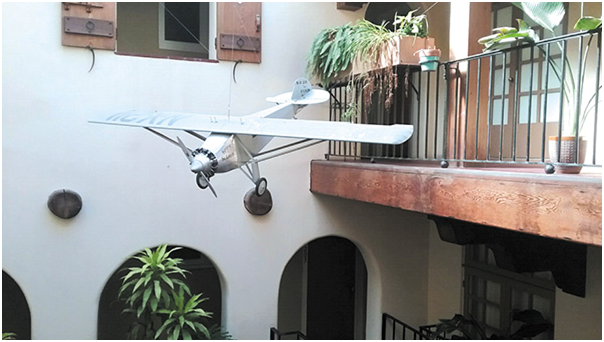 As a result, preserving historic structures is now a focal point of the community planning efforts in Bankers Hill. While welcoming new development, Bankers Hill also works to preserve its existing historic buildings. Through these efforts, Bankers Hill is a mix of both old and new buildings — one of the city’s most distinctive historic communities. 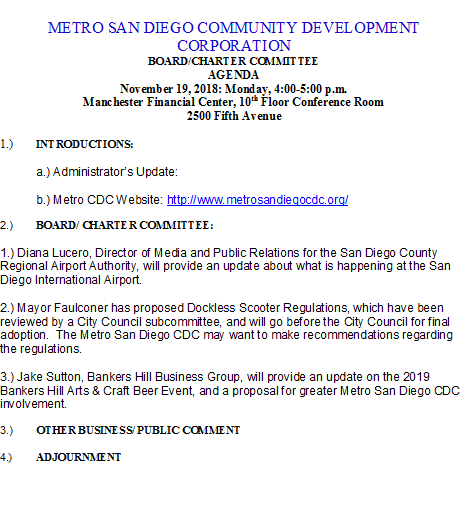 —Leo Wilson is administrator for Metro San Diego CDC and is a Bankers Hill resident.